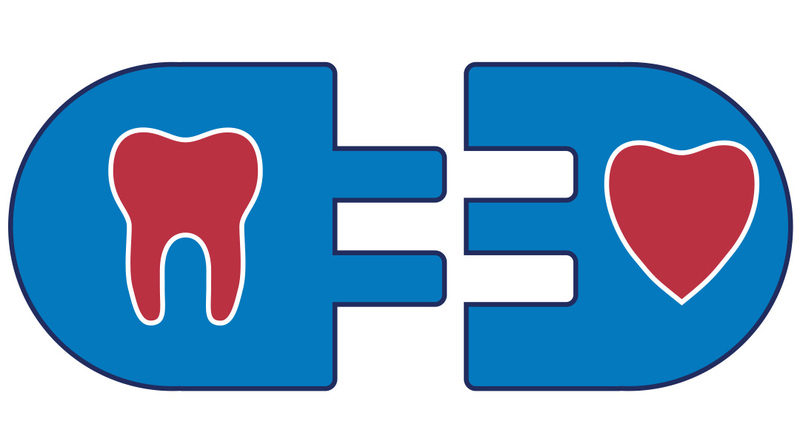 A new peer-reviewed BaleDoneen study is the first to reveal a new, treatable cause of cardiovascular disease (CVD): periodontal (gum) disease due to certain high-risk oral bacteria. The research was published in the April issue of Postgraduate Medical Journal (PMJ). How do germs from periodontal disease (PD)–a chronic oral infection found in more than 50% of adults over age 30–injure the heart’s major arteries? Here’s the latest science about the oral-systemic connection and how it can affect your heart attack and stroke risk. The oral-systemic connection is the link between the health of your mouth and your overall health. A landmark 1954 study was the first to show that oral germs, such as those that cause gum disease, frequently enter the bloodstream and quickly spread throughout the body. Among the ways this can happen are through periodontal cleaning, tooth extractions, tooth brushing, and even chewing food. The spread of these germs throughout the body can result in chronic inflammation, a fiery process linked to many disorders, including cardiovascular disease (CVD, also known as heart disease), diabetes and even some forms of cancer. Poor oral health has also been linked to dementia, rheumatoid arthritis and even pregnancy complications, according to the American Academy for Oral Systemic Health. Research suggests that the harmful cardiovascular effects of PD are due to a few high-risk oral bacteria discussed in the BaleDoneen study: Aggregatibacter actinomycetemcomitans, Porphyromonas gingivalis, Tannerella forsythia, Treponema denticola or Fusobacterium nucleatum. People with gum disease have up to twice as much small, dense LDL cholesterol (the most dangerous kind) in their blood as those with healthy gums, according to a recent study. The size of cholesterol particles matters: Some are big and buoyant, so they tend to bounce off vessel walls, while others are small and dense, making it easier for them to penetrate the arterial lining. Think of the difference between beach balls and bullets. Chemicals produced by high-risk oral bacteria make the walls of the artery more permeable, so it’s easier for bad cholesterol to invade. Since people with PD due to these pathogens also have higher blood concentrations of small, dense LDL cholesterol, and other disease-causing lipoproteins, this creates a one-two punch on the arteries, much like a gang assault on a house with broken windows or doors. Substances produced by high-risk bacteria can also make the inner layers of the arterial wall (where plaque forms) stickier, much like Velcro, so bad cholesterol is more likely to get trapped there and create plaque deposits, resulting in a triple threat to arterial health. What impact could this research have on dental care? The PMJ study could change the way in which dental providers diagnose and manage periodontal disease, since the research shows that it’s important to find out if people with PD have the high-risk bacteria that are now known to be a contributing cause of arterial disease. Instead of only evaluating the severity of patients’ symptoms–such as how deep the pockets of infection are, how much the gums bleed, or how loose the teeth are–the study suggests that using available tests from companies that measure Oral Pathogens through DNA analysis, including: OralDNA, OraVital, and Hain Diagnostics, to determine if PD is due to high-risk bacteria is important for providing optimal care and treatment to protect both oral and systemic health. The BaleDoneen Method hopes that the study will lead to further research to determine the best treatments to get rid of high-risk oral bacteria–and optimize systemic wellness. Talk to your dental provider about what you can do to improve your oral health–and get regular checkups as advised as an essential part of your heart attack-and-stroke prevention plan!